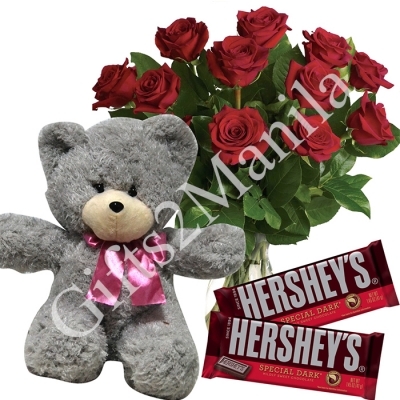 This sweet gift set includes a delicious 2pcs chocolates paired with a stunning one dozen Red rose in a vase, 18inches stuff toys. Make her heart beat a little faster with this showstopping testament to true love! 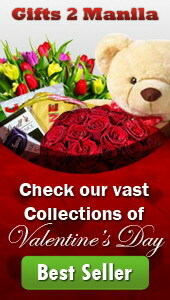 Gorgeous red roses, in a beautiful red vase with chocolates and stuff toys, will make this Valentine's Day one to remember.